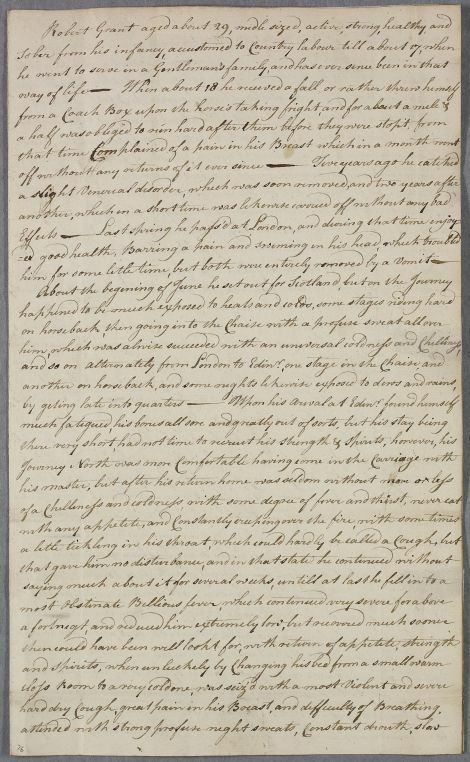 Letter from Thomas Duncanson describing the case of Robert Grant, a servant 'in a Gentleman's family' (elsewhere identified as that of Captain Urquhart). 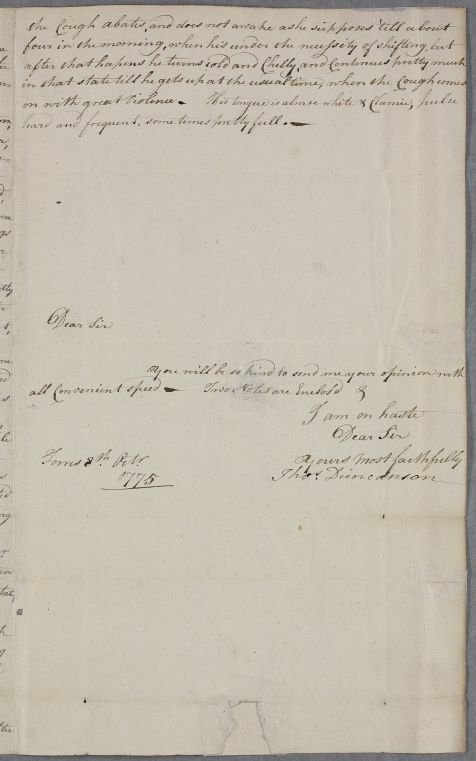 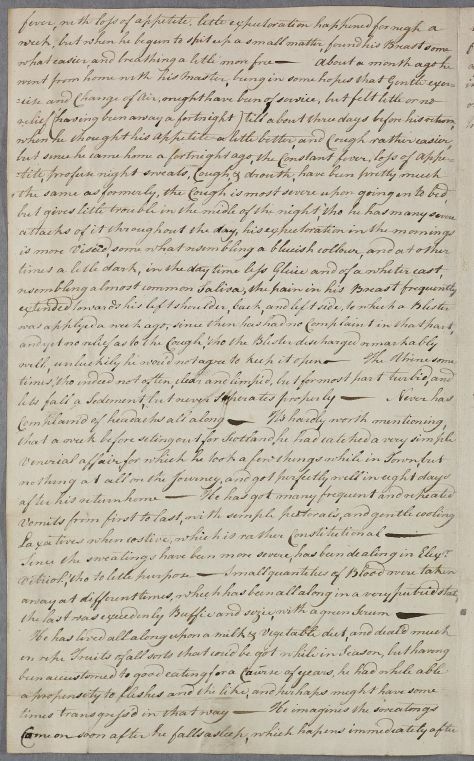 Summary Letter from Thomas Duncanson describing the case of Robert Grant, a servant 'in a Gentleman's family' (elsewhere identified as that of Captain Urquhart). 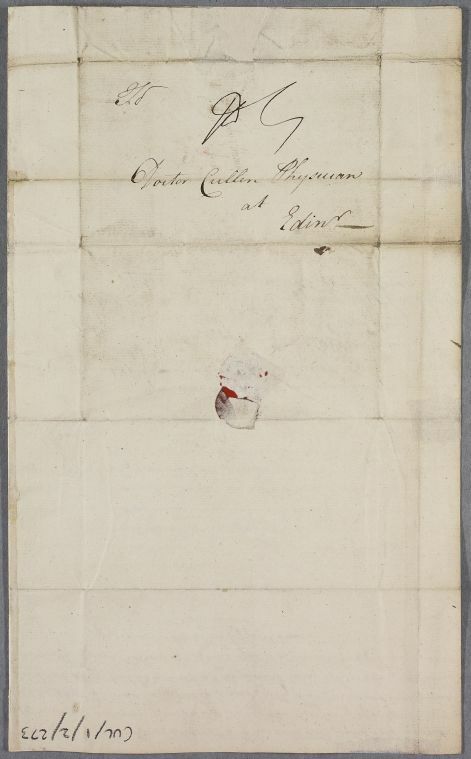 Case of Robert Grant, a servant suffering from a cough, feverishness and other symptoms.